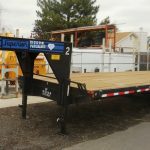 Flatbed Trailer Rental - A & J Time Rentals, Inc.
A and J Time Rentals carries a large selection of flatbed trailer rentals. 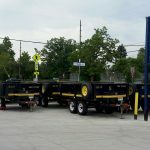 We have utility trailers in all sizes and types. 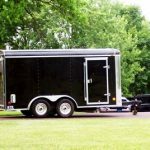 Whatever type of utility trailer you need we probably rent it. 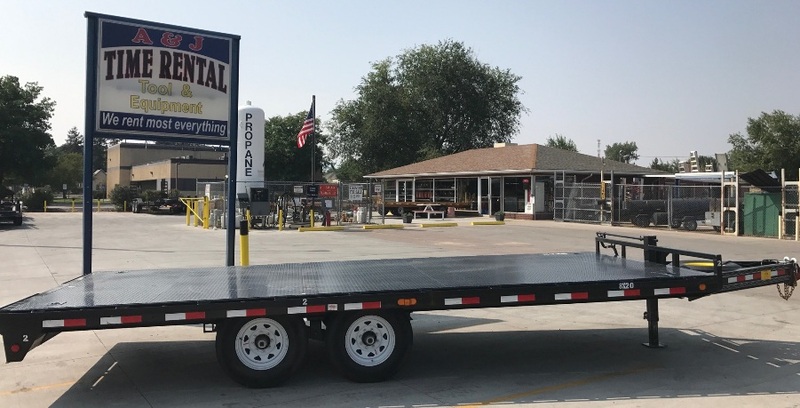 Give us a call and let us know what type of flatbed trailer you are looking for. 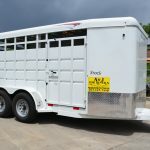 Our trailers are clean and we inspect them to make sure you will not have any issues when you rent them. When you rent equipment from us you can rent the trailer for the day to take the equipment to your site and return the trailer until you need to bring the equipment back. We have a new 8×20 “deck over” trailer, which means the deck is over the tires, and this trailer will haul 10,000 pounds. This trailer is a PJ trailers brand model F8202. Contractors hauling lumber or big tanks are the people who typically rent these trailers. It has ramps that slide in the back so people can haul trucks, tractors or anything. 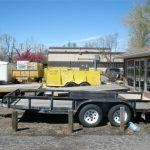 If you need a flatbed trailer rental company in Denver, give A and J Time Rentals a call.